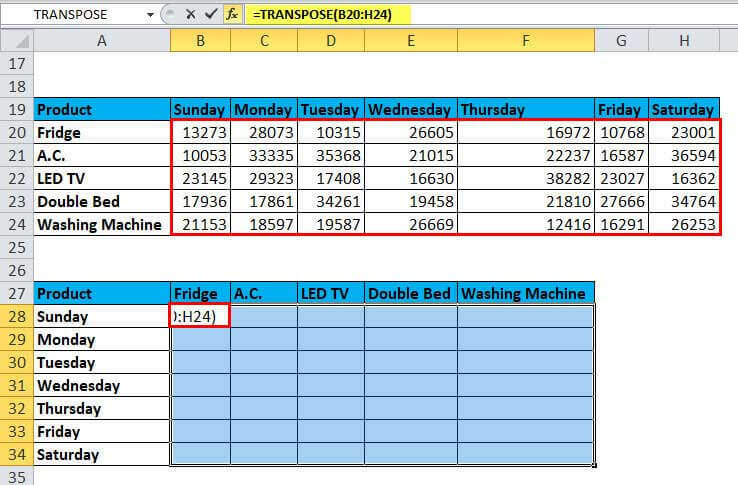 TRANSPOSE in Excel (Examples) | How to Use TRANSPOSE Function? 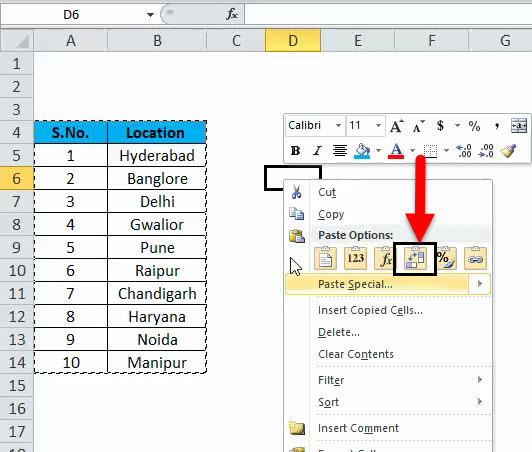 Now we will see, when we have Copy and Paste feature of excel, then what is the use of Transpose function? It’s the simpler way of transposing the data. Let’s assume below data and we want to convert this data from columns into rows. When we have a simple set of data, then this method is easy to transpose but when we are working on a complex set of data like Tables or Function, then this method is not preferred to use. Also, this feature has a drawback. If we make any changes in the source data, then it will not affect our result set. Means we need to make the changes accordingly in our result set too. The resulting data is not linked with the source data here. For overcome to this problem, TRANSPOSE function come in place. This TRANSPOSE function is very simple and easy to use. Let us now see how to use the TRANSPOSE Function with the help of some examples. 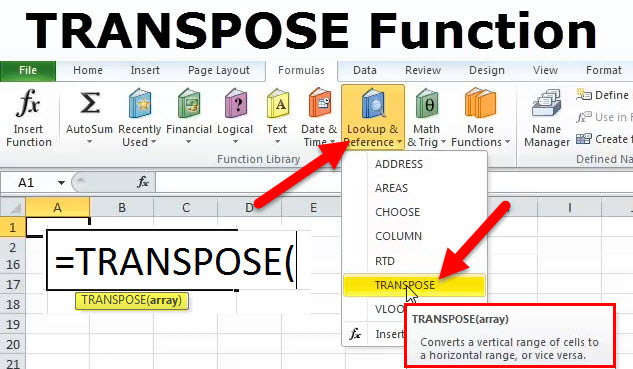 The TRANSPOSE function is a built-in function. It takes a row and convert it into a column, or a column and convert it into a row. In other words, we can say exchanging a row or a column. Now we want to convert this data from rows into columns. 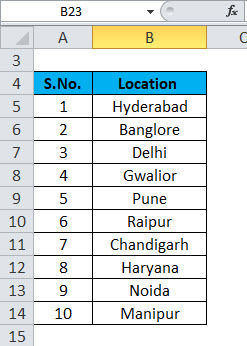 First, we will copy and paste the Product name from column to rows & Day name from rows to column. Now click on cell B28 and select the above blank area. Go to formula bar and write the TRANSPOSE function. Select the data range from the source table for which we want to transpose as an argument and press F4. Close the bracket and press CTRL+SHIFT+ENTER. It will display the data in the same format as you want. Here, data is linked with the source table. Thus, If we make any changes in the source table, then it will automatically reflect in the result table.